Mirenesse is an Australian company that was launched in 1999 on the local TV shopping network… and they haven’t looked back since. The company is founded on 30 years of solid pharmaceutical research that has helped them create a wide range of skincare and makeup products which are quite popular with their target market. In fact, all their makeup products and skin care solutions are infused with rare botanical ingredients that are found naturally in Australia and sourced from across the globe. These ingredients are clinically proven to enhance skin from the inside out. Carrying forward their promise of all-natural products, Mirenesse doesn’t test on animals, and all their products are packed in sustainable packaging to ensure complete environmental friendliness. It has become one of the highest selling brands for salons and on the web, and there is a good reason for that. The natural goodness of the high-quality ingredients used in their products is made effective with a proprietary TDDS delivery system for lightning fast results. This system makes the formula penetrate deeper into the skin for quicker and longer-lasting results. That is why professionals across the globe trust Mirenesse to transform skin, making it smoother, brighter and healthier… and do it all a whole lot faster! These products are made especially with a focus on collagen preservation, skin hydration, sun protection, reversing skin damage while also providing a range of sensitive skin solutions as well as sun protection for all types of skin. No wonder everyone loves Mirenesse. We are talking about the Mirenesse Cosmetics Supreme Secret Weapon 24hr Mascara in Black. At just $28 this magic wand will give you ‘supreme’ lashes because it’s an all-in-one mascara that lengthens, adds volume and lifts your lashes to the gods! The Supreme Mascara will leave you with worship-worthy lashes that look glamorous all day long and don’t flake, smudge or smear ever! The formula is eye safe and so good that you can sleep in it and it won’t break your lashes. So, if you are tired, it’s fine …. you can wash it off in the morning with some warm water, it’ll come right off! 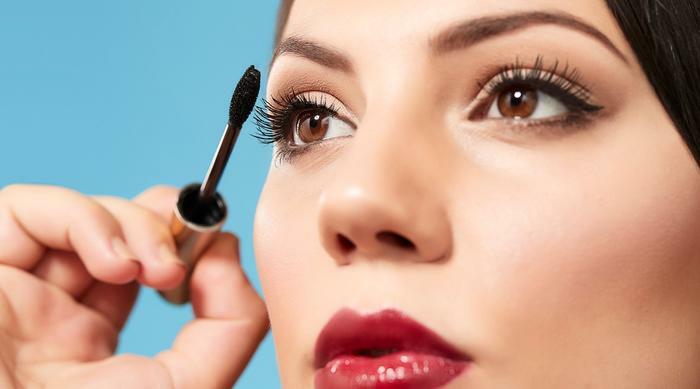 The secret to successful mascara application is the Supreme brush that is tapered like a witch’s hat. 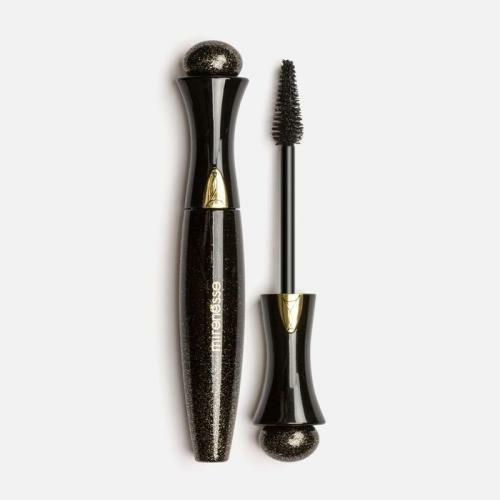 This way the mascara wand can reach the smaller lashes on the inside to deliver all the goodness of these supreme formula. In the end, you are left with full-effect, lifted feathery beautiful lashes. 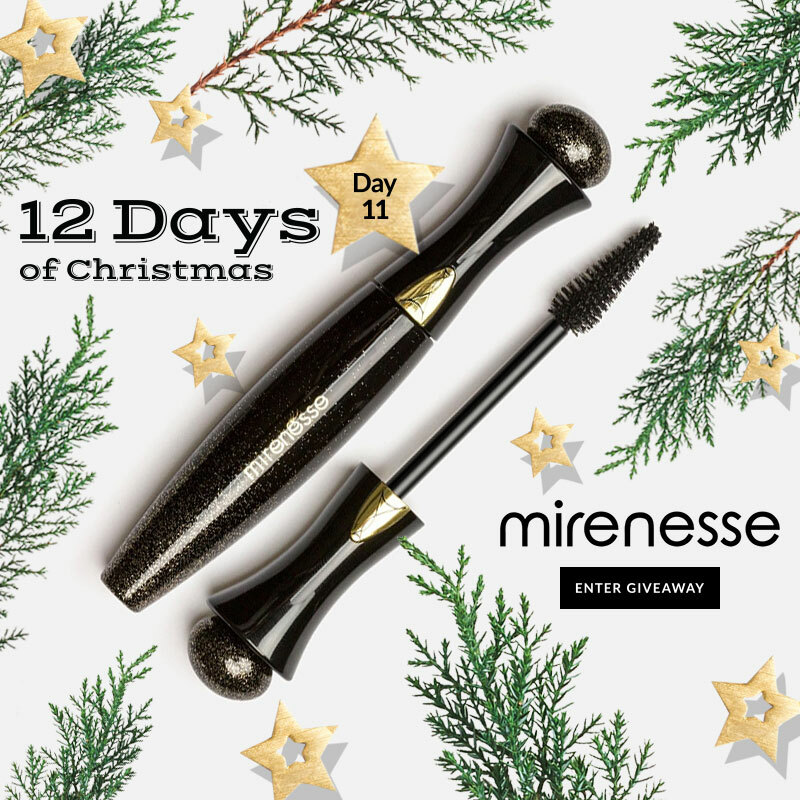 Here’s Your Chance To Win A Mirenesse Gift Set By Beauty Bridge! Good luck everyone 💕 Thanks for the opportunity to win! Happy Holidays. Would be so Fantastic and Blessed to have th his thanks for this chance ! !